Fill in our form to get the most affordable price - the best car rental Nicaragua is only a click away! 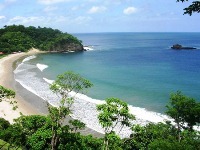 Car rental Nicaragua is the most efficient way for you in exploring the scenic coastline and inspiring nature. Complete the form and get ready for a comfortable trip! Highways are to be improved there! Except the roads Leon - Managua - Granada - Rivas there are very few qualitative roads. The most "common" breach and the corresponding fine there is "markings breach". Souvenirs – leather goods, traditional Indian clothing and footwear, Nicaraguan rum, Nicaraguan cigars, statuettes, figurines depicting saints, vases, dishes, jewelry, boxes, hammocks. Traditional Food – Platanos (fried bananas), Gallo Pinto (fried rice with beans), Bajo (beef), Tumbet (meat), Mondongo (soup), stuffed chicken, Nakatami. Car rental Nicaragua recommends you to visit the cities mentioned below!